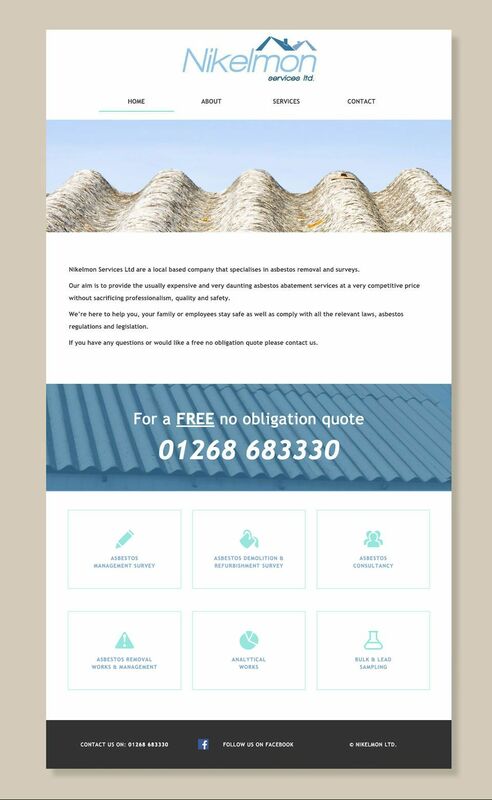 Nikelmon Services ltd specialise in asbestos removal and surveys. They wanted a logo and a responsive website for their brand. They wanted a logo that was easily transferable to different mediums, easily readable, clean and smart. They also had specific ideas about colour and icons they wanted included in the logo. Due to being an asbestos company and roofs being a major part of the job this was a must have. I feel the final logo incorporated all of this and suits them perfectly. 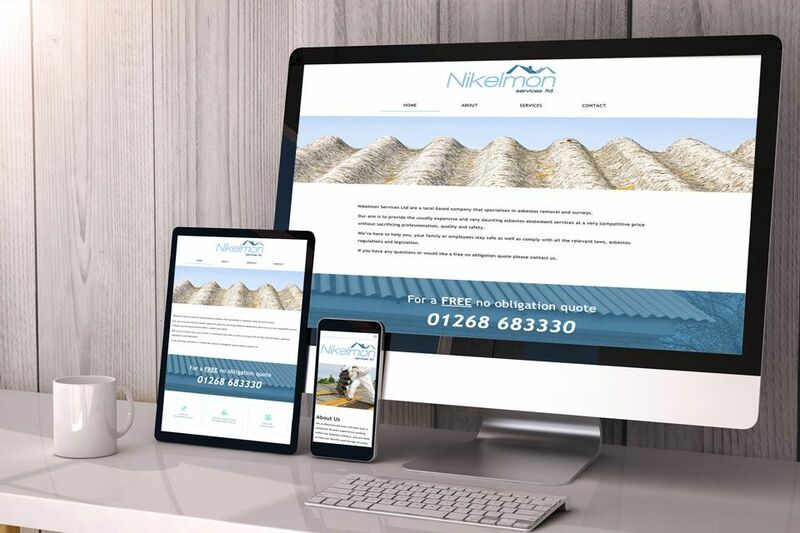 A website was needed to give information about what services they offer and how you can contact them. They wanted this to be easy to navigate and straight to the point, with emphasis on contacting them for a quote or further information. It's difficult to make asbestos look good but the websites bright colours makes the viewing experience enjoyable and it went down a storm!